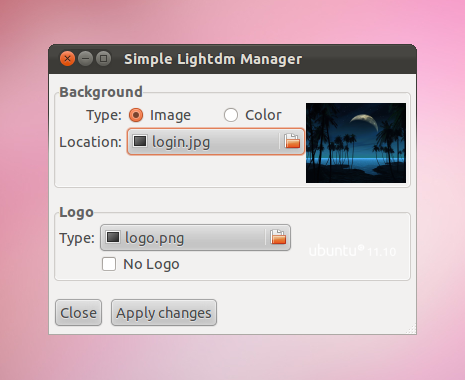 LightDM is the new login manager for Ubuntu, from Oneiric Ocelot 11.10 on, replacing GDM. 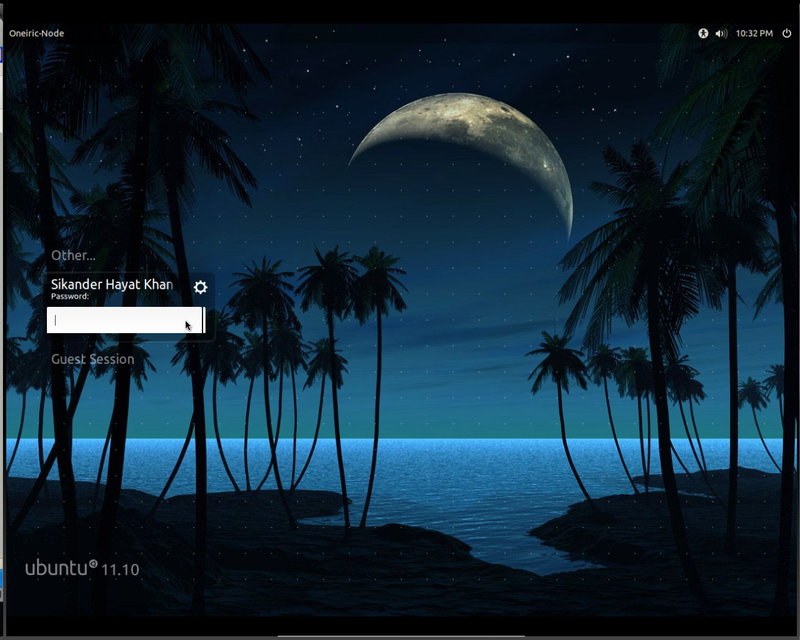 It's capable of displaying 3D animations as the login screen background. Not many 3D animations exist so far, in fact only one to my knowledge. Still, we'll discuss how to implement it at least. Changing the background is pretty easy. You just need to edit a configuration file and set the path to the image that you want to use as the login screen background. Or you can also use a GUI tool named 'Simple LightDM Manager'. You just need to replace the text highlighted in red above with your desired image's path. You can also change the logo that is displayed at the bottom left of LightDM login screen by editing the 'logo' entry in the same file. Claudio of ubuntued.info has developed a simple GUI tool for managing the LightDM background and logo. You can choose an image as a background or use a plain colour. Now search the Dash for 'Simple LightDM Manager' and open it. The GUI is pretty simple and self explanatory. Robert Ancell mocked up an animated 3D greeter theme for LightDM a few weeks ago, basically as a proof of concept. It lets you log in by clicking on animated Imps.